One of the first major decisions you have to make when renovating your house (or after constructing a new one) is what color you’re going to paint the walls. Everyone wants beautiful interiors that will complement their décor, but not all homeowners possess a good eye when it comes to this. On top of that, you need to find a good painting contractor that offers you manufacturer’s warranty for paints, as well as additional perks like free touch up work and insured workers. Well, if you live in or around Houston, and are looking for houston painters in your area there is one reliable company that offers you all that, and more! 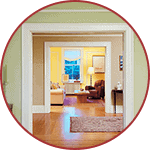 At Houston Texas Painters, we go all out to provide quality work, durable products and complete customer satisfaction. We want you to have a smooth-sailing, thoroughly satisfying experience with us from start to finish. 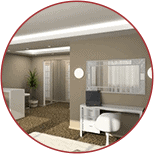 Hence, you’ll find our residential painting services convenient, affordable and carried out to perfection! We pride ourselves on being a reliable and proficient painting contractor that is easy to reach and book with at any given time. All you need to do is give us a time and place, and we will be there. What’s more, our friendly, cooperative team of painters and employees will help you choose colors that will work best for your unique interiors and décor. But fear not, there are no upsells involved when dealing with Houston Texas Painters. If you know what you want, that’s what we’ll give you; and if you don’t, we’ll merely advise you. 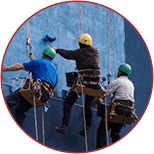 Our team of workers is certainly one of Houston’s most trusted bunch of painters in the business. Thoroughly background checked, reference checked and insured, you will never need to worry about your home’s safety. 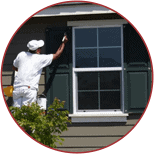 They are also thorough professionals with experience in painting homes of all sizes across Houston, TX. For starters, you can call us today to get a free quotation without the stress of feeling obligated to hire us. We want you to feel comfortable with hiring our painters and we guarantee that your experience with us will always be a delightful, satisfying one. How do we manage that, you ask? Well, we give our customers a 7-day free period to call us back for any touch up jobs or repainting requirements starting from the day we complete the work. We also offer warranty on the paint (depending on the manufacturer) for further security. When dealing with Houston Texas Painters, we do not hold you to any commitments/contracts. We ensure a hassle-free experience with us from the get-go. Our booking process is swift and convenient; you can hire us using our website or user-friendly mobile app. Making payments is also undertaken as per your convenience; we accept online transactions, checks and major credit cards. So if you’re looking for painters in Houston, TX, give us a call today and we will turn your plain interiors into colored walls of perfection!